macaroni & cheese: Garland Road Thrift!!! So, Aldous and I went on a field trip today to Garland Road Thrift!!! I wasn't in search of anything in particular, I was just going to check it out. I had been keeping an eye out for a few things, but there was nothing I needed desperately. Here it is!! Apparently, I went on the right day!! They have a ton of stuff, all very neatly organized. Prices aren't bad either...a little higher than I'm used to in Hunt County but worth it for the neatness and organization. Here's my haul!! 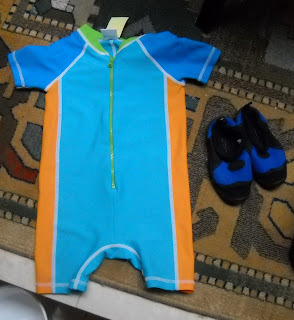 I found a Hanna Andersson wet suit/swimsuit thing for Aldous, and some water shoes, both of which he needed to swim at the YMCA with Doug and William, so good score there!!! Both look unused. 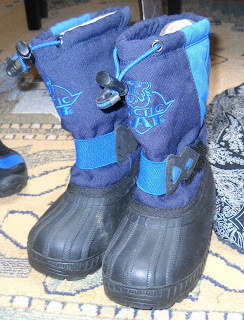 a pair of Arctic Cat snow boots for William. 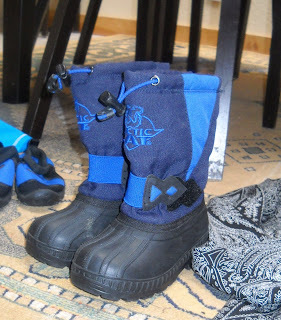 Probably these will still look new when Aldous is through with the, because it doesn't get cold her often, but when it does, you really need warm shoes. Poor William's feet were positively ICY after the parade last weekend. Aside from the dirt on the toe, these really look new and still have the little plastic thing that price tags dangle from attached. They were $6, a bit much for thrift store stuff, but a recent seach shows that brand going for about $18, so now I don't feel so bad. 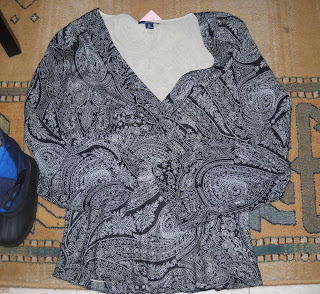 and a top for me, which I don't need. Aldous and I also saw a gigantic Nemo that William would have thought was cool.......Aldous sure liked it, and said "Nemo, Nemo, Nemo" the whole time we shopped!! 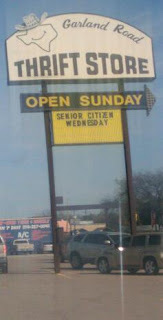 I can't wait to go here!! this is like, three blocks from my house! call me next time! Thanks for shopping at Garland Road Thrift Store!